The rising star of the omega-3 world, krill oil is heralded for its unique phospholipid complex as well as the health-protecting astaxanthin it provides. Astaxanthin, one of nature’s most versatile and effective antioxidants, delivers a wide range of health-supporting benefits. 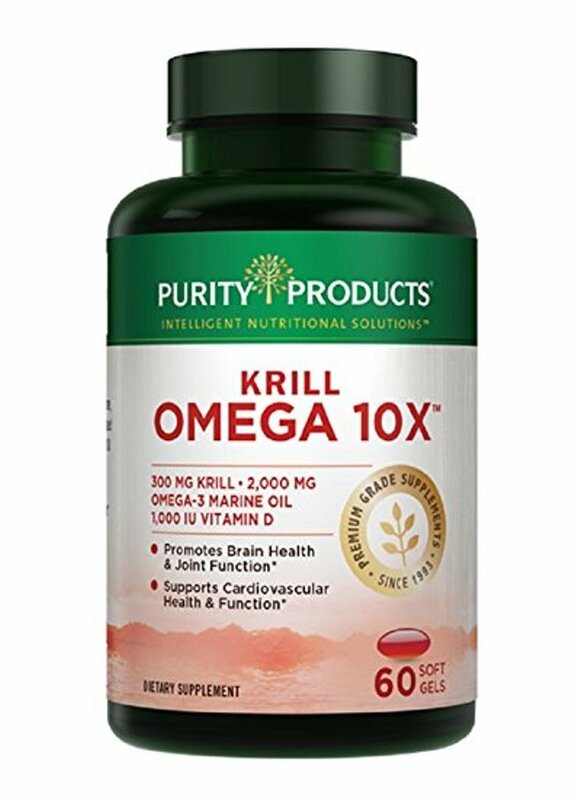 * Purity's Krill Omega Super Formula is in a league of its own due to the combination of 300 mg of Krill Oil plus highly concentrated omega-3 fish oil. In total, Krill Omega-3 Super Formula serves up a whopping 1000 mg of EPA and DHA, the same amount recommended by the American Heart Association. With about 10 times more EPA and DHA power (the key omega-3 fatty acids found in fish oil) no other krill supplement comes close. See the PURITY COMPARISON CHART below.